Fancy a taste of authentic Italian cuisine? 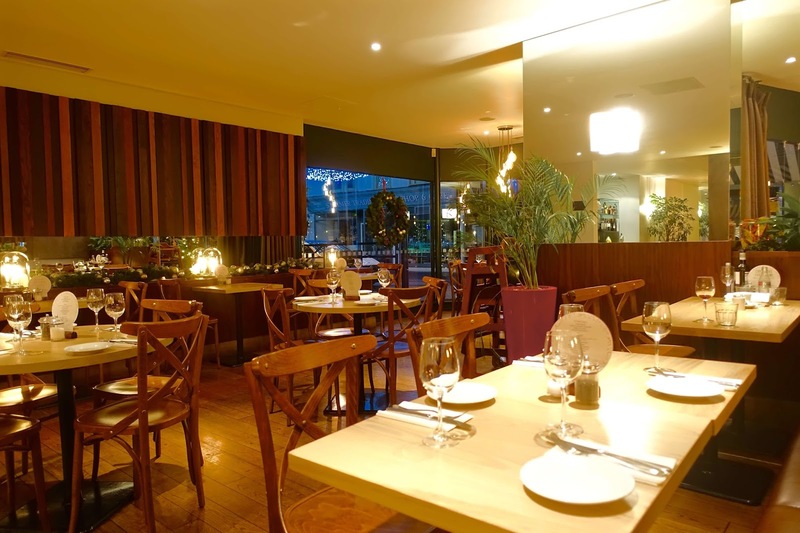 Recently I was asked to review my local Strada restaurant, in Horsham’s popular East Street which has recently undergone a refurbishment. 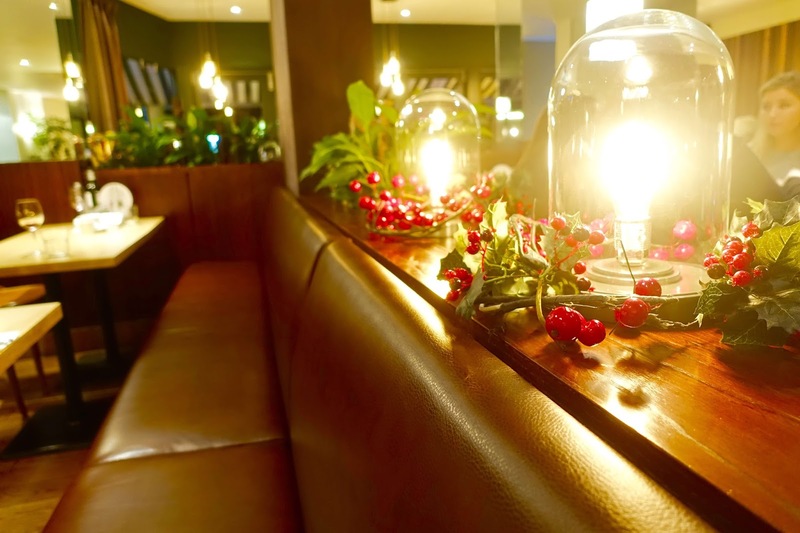 The recent renovation has included the introduction of modern hanging lighting, fresh furniture and new classy neutral colour scheme throughout. When I visited in November it felt very festive because they had also added holly and berry garland around the individual quirky lighting pieces. The restaurant boasts a new contemporary look, however still boasts the warmth and vibrancy that embodies all things, Strada. To be honest the recent decor up-lift now makes the restaurant even more inviting. 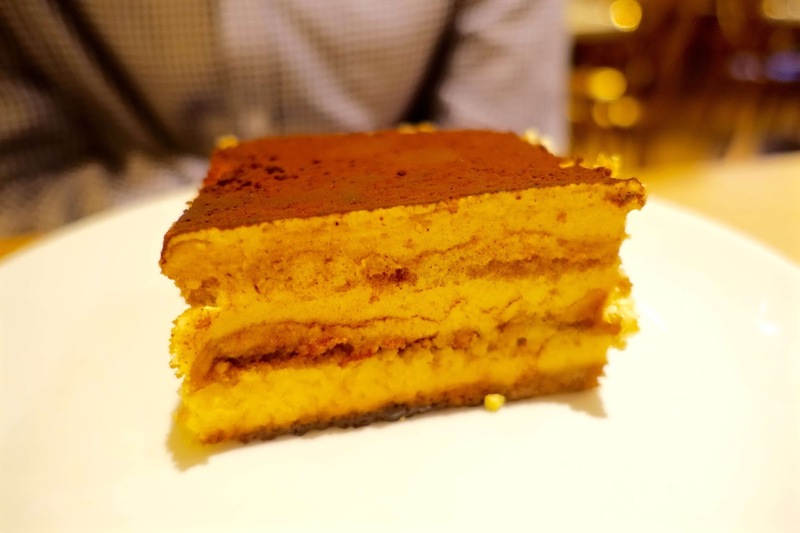 The main reason for a visit to my local Strada this time around was to review the recently introduced autumn/winter menu, which features an array of comforting options for all Italian food lovers. 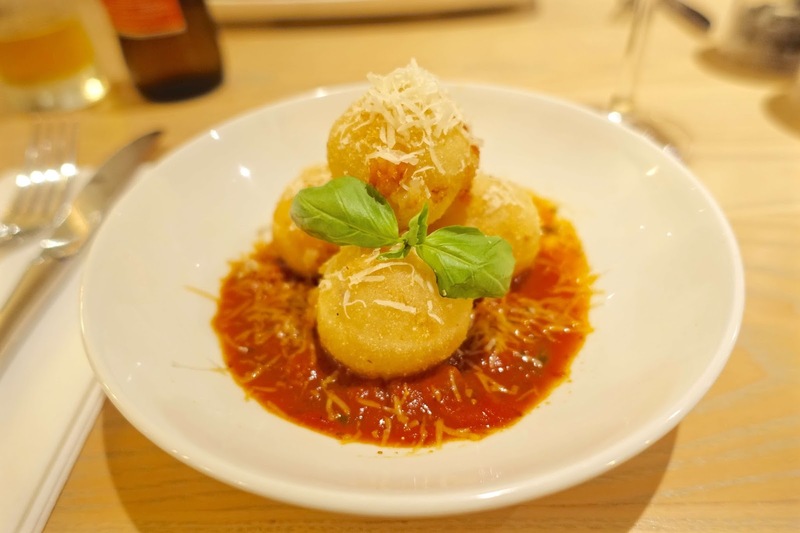 For starters, we had Arancini (£5.95); if you are not familiar with these little balls of delight it is basically Crispy rice balls stuffed with melting mozzarella. The arancini at Strada is served with a spicy tomato passata and sprinkled on top is aged Parmesan. 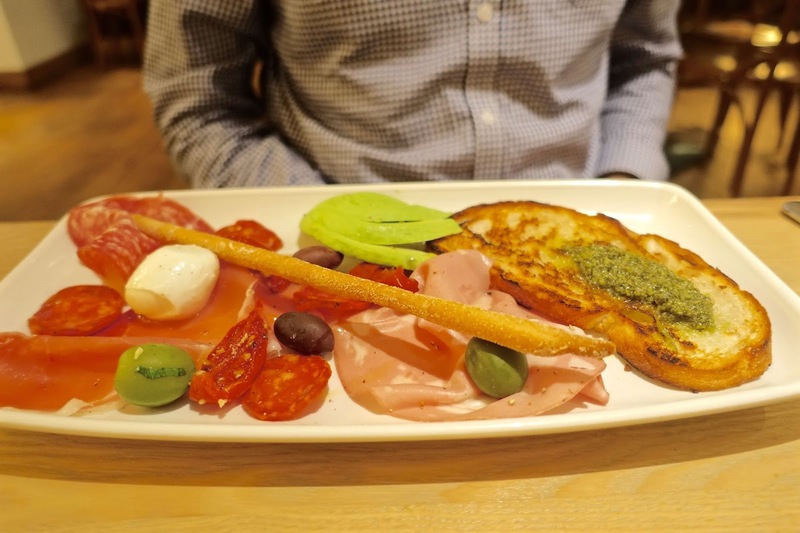 As well as sneakily stealing an arancini ball or two from my plate, Alex had a small Antipasti (£6.45) which was served on a classic wooden board with Prosciutto, Spianata piccante, salami Napoli, mortadella, baby mozzarella, semi-dried tomatoes, avocado, bread, and olives. 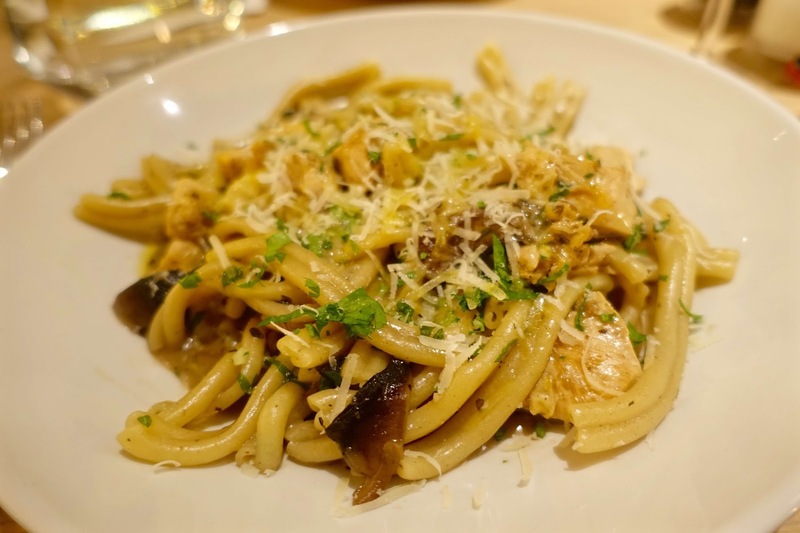 For mains, I had the Creamy Chicken Casarecce (£11.95) with pan-roasted chicken in a mushroom and tarragon sauce with lemon, garlic, parsley and Parmesan. Again, really not my usual choice, but I wanted to step out of my comfort zone and choose something different. 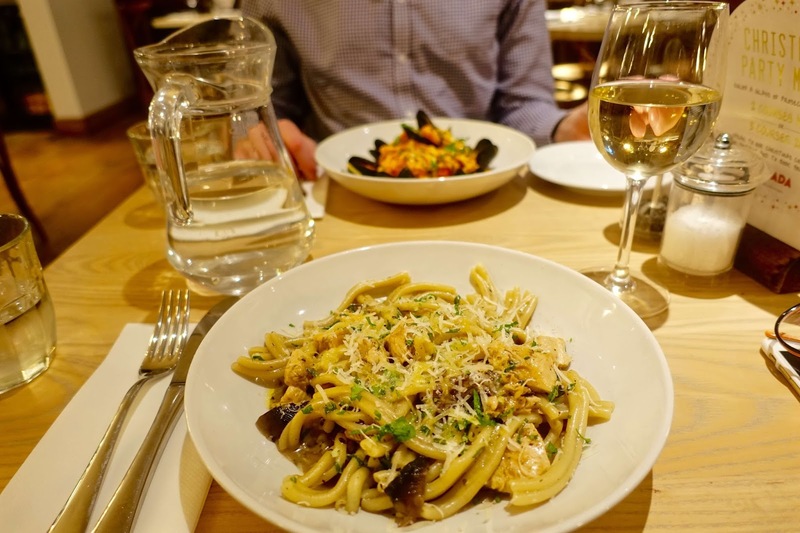 Personally, I've never been a big fan of mushroom, mainly due to their harsh texture, however, I do quite like the taste of creamy mushroom sauce so thought the chicken casarecce dish would be a good choice. 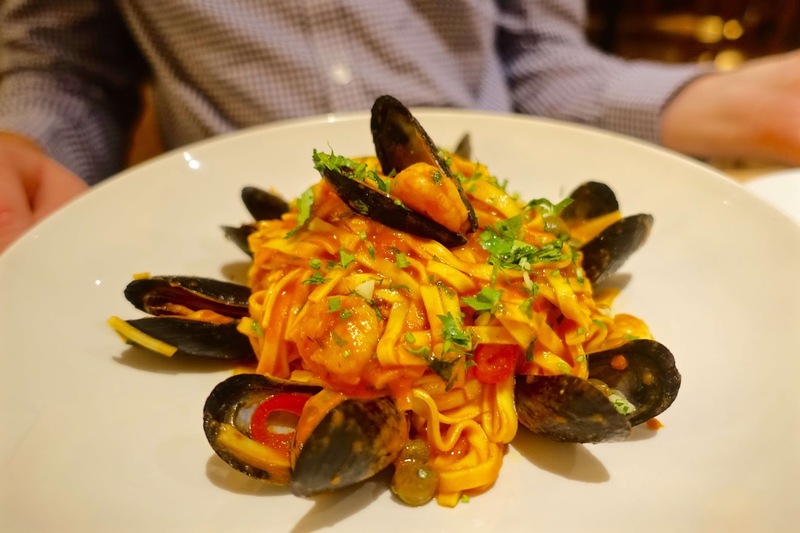 Alex had the Seafood Linguine (£12.95) - Passata and white wine sauce with tiger prawns, fresh mussels, capers, a little chili and fresh parsley. Next time I’d love to try the Risotto Luganica (£12.25) with herby spiced Luganica meatballs, pancetta, chestnut mushrooms, fresh herby breadcrumbs, and Parmesan. Doesn't it sound delicious? I'll definitely be heading back soon to try this out. 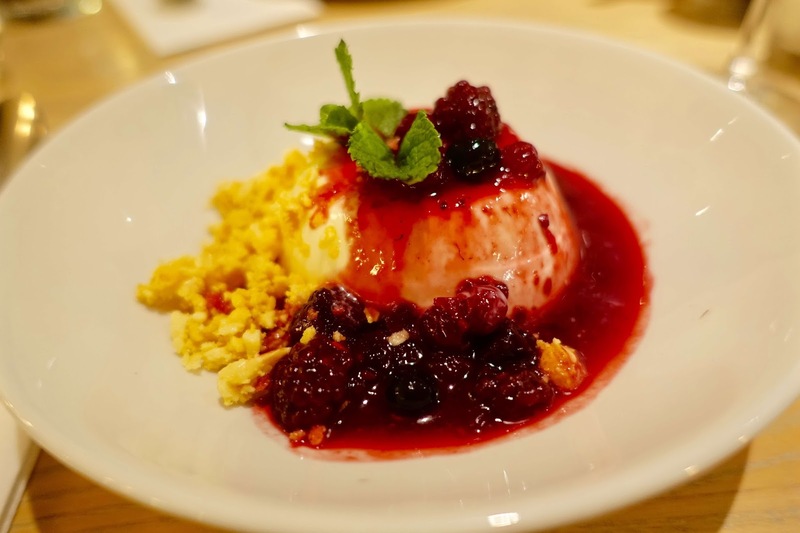 For dessert, it had to be the Pannacotta (£5.45)! Smooth and creamy and served with smashed honeycomb and fresh berry compote. Alex had the classic Tiramisu (£5.45) - your typical Italian dessert with layers of espresso soaked sponge and sweet mascarpone with a dusting of cocoa. Dessert was my favourite course out of the three, usually, a dessert course would be my last choice, I’d always choose a savoury option to start over something sweet to finish. However, the vanilla pannacotta was absolutely delicious, very creamy and super indulgent. It is one of the only desserts which is handmade on site and you can really tell by the freshness.